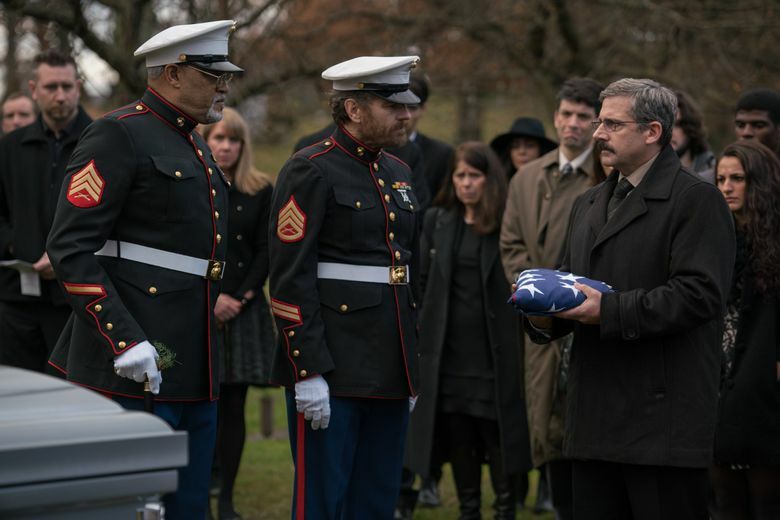 Last Friday, Oscar-nominated filmmaker Richard Linklater’s “Last Flag Flying” had its gala world premiere as the opening night at the prestigious New York Film Festival. This weekend, it will screen at the Sea View Theatre on Orcas Island, as part of the annual Orcas Island Film Festival – an event that’s rapidly becoming a hot ticket for local film lovers. Carl Spence, former longtime artistic director of the Seattle International Film Festival, founded the festival four years ago with local producers Jared Lovejoy and Donna Laslo. In contrast to the sprawling SIFF, the OIFF takes place over four days and two venues, but its lineup of 30 feature-length films is impressive. Along with Linklater’s film, the schedule includes the Oscar-buzzed “Darkest Hour” with Gary Oldman as Sir Winston Churchill; Todd Haynes’ “Wonderstruck,” with Julianne Moore in a double role; Andy Serkis’ love story “Breathe,” starring Andrew Garfield and Claire Foy; and acclaimed indies like “The Florida Project” and the Cannes Palme d’Or winner “The Square.” This year’s guests will include filmmaker Jean-Marc Vallee (“Dallas Buyers Club,” HBO’s “Big Little Lies”), who’ll introduce a screening of his 2005 film “C.R.A.Z.Y.” – never released in the U.S., Spence said, because of music rights issues. How does a little local festival like this acquire a lineup like that? It’s partly in the timing, said Spence – early autumn is a good time to catch films that have just played at major festivals in Toronto, Telluride and New York, and are looking to gain momentum for Oscar campaigns. And it also helps to know the right people. Spence noted that a number of major Hollywood figures have vacation homes in the San Juans – he mentioned Marc Turtletaub, producer of “Little Miss Sunshine,” and the directing/producing couple Richard Donner and Lauren Schuler Donner – and have lent connections to the festival. And OIFF combines its star-studded roster with local talent. “For the fourth year now, we’ve given money to filmmakers to make short films in the San Juan Islands, and then we show them at the festival,” said Spence. Audiences vote on their favorite of the shorts, with the winner ultimately screening at next year’s SIFF. Though some Seattleites make the island pilgrimage for the festival, Spence said the audiences are “maybe 70 percent locals.” Sellouts do happen, but tickets tend to be readily available. For more information on OIFF, see orcasfilmfest.com. Moira Macdonald: mmacdonald@seattletimes.com; on Twitter: @moiraverse. Moira Macdonald is the Seattle Times arts critic.